Ships Today if ordered within 1 hrs and 11 min. 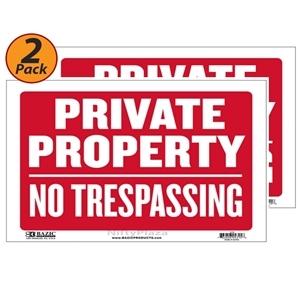 9 inch x 12 inch private property no trespassing sign. States "Private Property No Trespassing" in white and has a red backing.